Preview: The 2015 N.B.A Finals will be between the Golden State Warriors and Cleveland Cavaliers. Many people are favoring the Warriors but before we can jump into conclusions we must take a closer look. Warriors: The Warriors faced a Pelicans squad in the first round that had little to no playoff experience. The Pelicans kept most games close only losing one by double digits thanks to Anthony Davis (31.5ppg 11.0rpg 3bpg) but the Warriors still defeated them in a clean sweep. In the second round, the Warriors faced a tough Grizzlies team who took a 2-1 lead on the Warriors. This helped the Warriors reach a new level of play, winning the next three games in a rout to advance to the conference finals. The Warriors faced a Rocket team that many were surprised to see they jumped out to a 3-0 lead despite a close call in game 2 (99-98) and coasted to a 5 game victory. They now have their toughest opponent yet led by Lebron James and a hobbled but still effective Kyrie Irving. Cavs: The Cavs dismantled the Celtics in an unsurprising sweep. The Celtics young legs weren’t enough to keep up with the Cavs and most games were decided in the fourth quarter. After sweeping the Celtics, they faced their toughest challenge against Chicago. Thanks to Rose’s game winner the Bulls took a 2-1 lead. Lebron answered back with one of his own to knot the series at 2-2. The Bulls couldn’t respond after that with an inconsistent Rose being their downfall. The Cavs won the series 4-2 and faced the 60 win Hawks led by four All-Stars (Paul Millsap, Jeff Teague, AL Horford, Kyle Korver) and the N.B.A’s coach of the year (Mike Budenholzer). The Hawks seemed overmatched in every facet of the game and the Cavs swept them advancing to their second N.B.A Finals in franchise history, but still searching for their first title. The Cavs are hobbled heading into the series and the Warriors are too good and too deep to lose now. 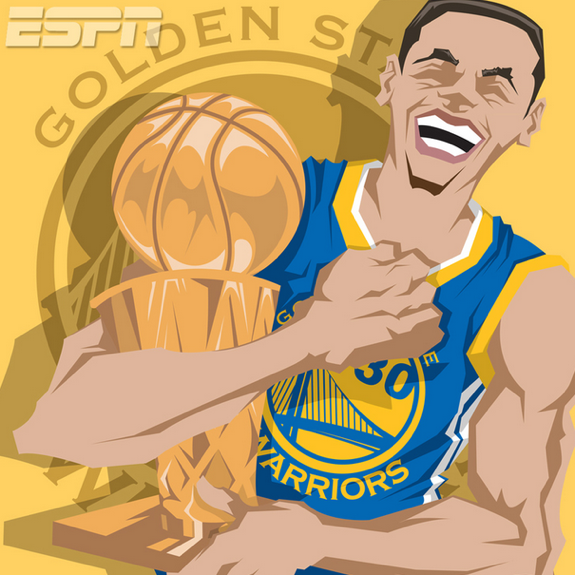 This 67-Win Juggernaut led by Stephen Curry will host their first title in 40 years. I’ll give the Cavs a game, but the Warriors 46-3 record at home is too great to say they’ll lose with homecourt. The recently crowned M.V.P of the 2014-15 season is a lock for first team honors. He helped lead the Warriors to an N.B.A best 67 wins. Although he slightly regressed in points and assist per game this season he upped his efficiency. Curry shot 40 percent from the three and 90 percent from the line. 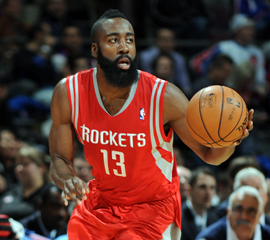 He narrowly missed out on the elusive 50-40-90 club by shooting 48.7% from the field. Curry is so good that his stats could be even better if he played more minutes. 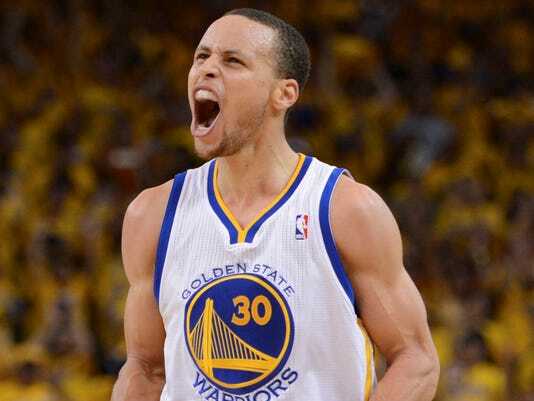 Curry set an N.B.a record for least minutes by an M.v.P with 32.7 a game. If the Warriors didn’t have the game in hand by the time the final period came around Curry’s numbers would be much better (but it’s not like there bad to begin with). Curry’’s great season plus in N.B.A record 286 three point field goals made makes him a unanimous choice for All-N.B.A first team. Bball Fanatics choice for the Most valuable player might not have won the award but it shouldn’t come as a surprise. I said that I wouldn’t be surprised if Curry one the M.V.P I just thought that Harden deserved it. The runner up led the Rockets to 56 wins despite losing Dwight Howard to injury and many key starters or bench players in the offseason He helped the Rockets advance to the second round against the Clippers were they currently face a 3-1 deficit. Although Hardens season may end in the coming days this year should be a wake up call to the rest of the league because James Harden may be the best player in the N.B.A. 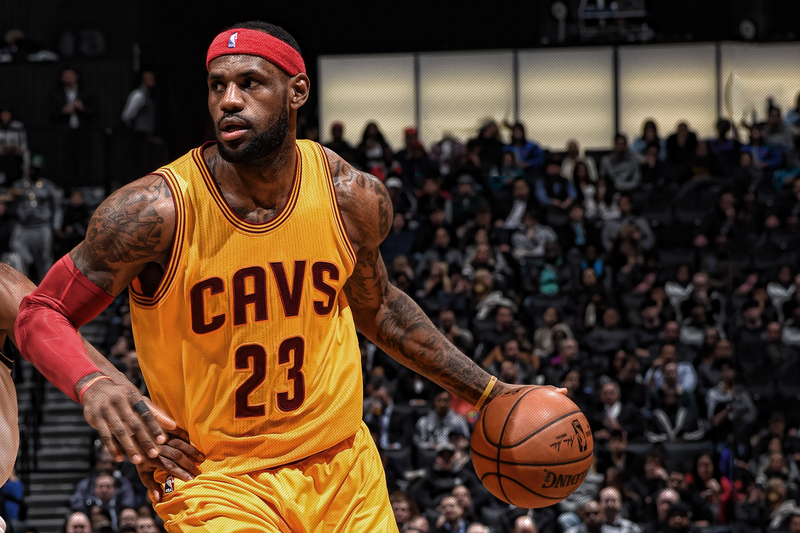 Lebron James had a down year regressing in points, rebounds, and overall efficiency. Compared to other seasons he had this would not be in his All-time first teams. But compared to the rest of the league Lebron’s overall game is still elite. He averaged the second most assist of his career which seemed to be the difference maker in the Cavs games. In wins, he averaged 8.0apg but that number plummeted to 5.8 in losses. It’s clear that if Lebron James continues being a facilitator for the Cavs he will be able to take on less of a scoring role in the end of his career. In the playoffs James has struggled with his efficiency (41.8fg% 15.43pt%) and with turnovers 5.3pg but has made up for it in other categories. Through the Cavs first 8 games (6 wins) James has averaged 26.5ppg 10.1rpg 7.8apg 2.0spg and 1.4bpg. These Oscar Robertson like numbers although sloppy at times are the driving force in the Cavaliers playoff run along with some clutch shooting (like his game winning shot in game 4 against the Bulls). Although James recently turned 30 and his best days might be behind him he still has he seems like he has many productive seasons ahead. It’s safe to say this won’t be James last appearance on the All-Nba first team. 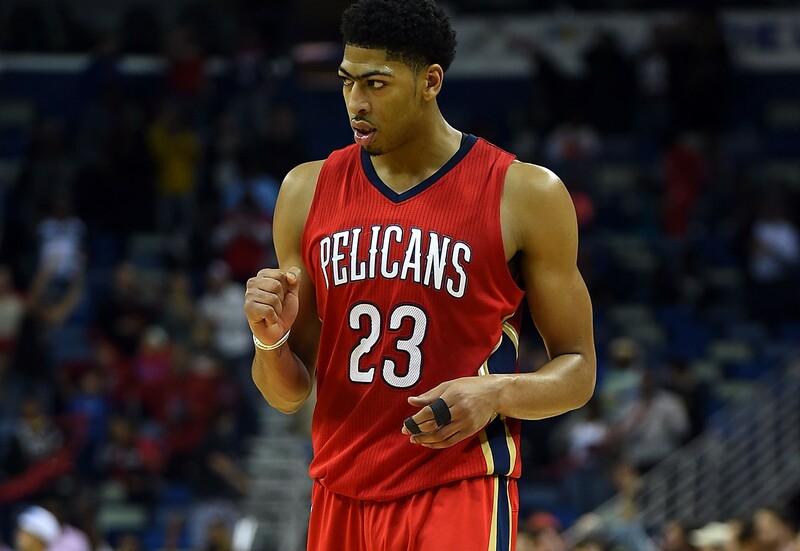 Anthony Davis helped lead the Pelicans to 45 wins and their first playoff berth in the Post-Chris Paul era. He stuffed the stat sheet putting up the greatest line for a 22 year old since Lebron James. His 30.89 per was the 11th highest per in N.B.A history. Anthony Davis got 5th in M.V.P voting and if it wasn’t for his team’s record he might have taken home the award. Davis is already putting up M.V.P numbers and there is no doubt in my mind that he will win the award and defensive player of the year in the near future. Davis developed a mid-range number which helped stretch the floor and create more space for Tyreke Evans and Jrue Holiday to attack the paint. At times it seemed like Davis could do everything this was most evident when he dropped 36 points 14 rebounds 9 blocks and 7 assist in a double overtime loss to the Denver nuggets on march 15th. At 22 years old Davis already looks like he can drop a quadruple doubles nightly if he adds an outside shot and works on his facilitating Davis will be able to do literally everything. At first glance, Marc Gasol’s numbers don’t jump off the page but his overall impact doesn’t always show up on the box score. Gasol used his defensive prowess, phenomenal court vision for a center and improved offensive game to become a perennial M.V.P contender. As the season went on his production dropped but the Grizzlies weren’t asking him to do as much. He helped lead the Grizzlies to 55 wins the second most in franchise history. In the first round victory, over the Blazers Gasol averaged 20.4ppg 9.2rpg 5.0apg and 2.4bpg in a five game victory. Although he has struggled from the field shooting just 41.5% from the field his overall impact can’t be denied. 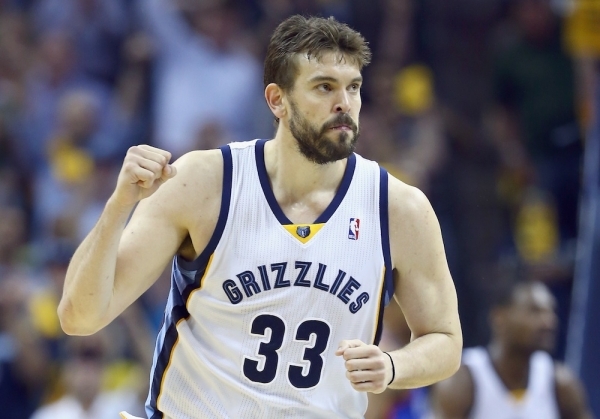 Currently, he has the Grizzlies tied with the Warriors after four games a position no one expected after game 1. Gasol has been the best center all year and his season will culminate with his first ever First-Team nod. 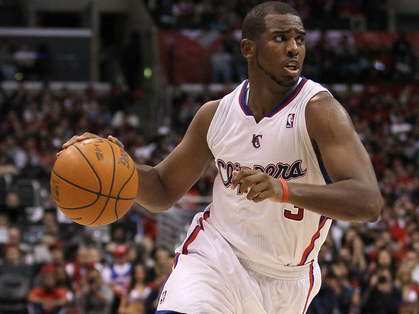 Chris Paul nearly replicated his stats from last season but he did it more efficiently. Paul shot 48.5% from the field nearly 40% from beyond the arc (39.8) and 90% from the line. Although his shooting might have been overshadowed by some other guards like Stephen Curry, there is no denying that he is an elite shooter. Paul would be a shoe-in for first team and has made it before with worse seasons. But the strength of the guards this season holds him back. Paul still helped the Clippers win the Pacific Division for the second consecutive season and win 56 games. In the 7 game victory over the former champion Spurs, Paul averaged 22.7ppg 7.9apg 4.6rpg and 2.0spg. His 51-43-97 shooting slash during the series and the game-winning layup helped the Clippers advance to face Houston.